It’s Too Damn Hot — Unprovoked ‘Orrible Pun Dept. Writing about the follies of his lordship, the Third Viscount of Self-Delusion, brought to mind the terrible pun me old mum* used to relish whenever excessive aristocratic pretension loomed. How much has the philanthropist? A: Quite a lot, for he’s a very liberal peer. That’s what I got. You? Oh, and BTW: this is not punishment; it’s an open thread. 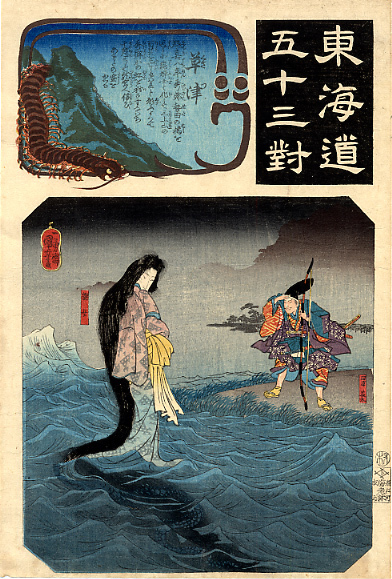 Image: Kuniyoshi Utagawa, The Dragon Princess, 1845.